When you’re practically alone on a train en-route to the airport and you somehow start to realize that you got into the wrong train, there’s no WiFi, the only other passenger doesn’t speak a bit of English, and your flight out of that country, the connecting flight to your flight back home is leaving in an hour. You try to walk the long train aisle, finally see the train crew and fortunately, one of them speaks perfect English. You then become aware that one of the train stations on the way to the one you are supposed to arrive at is undergoing repair. You actually got into the right train but need to make more train transfers. He gives clear directions but it would take you a minimum of 30 minutes to arrive at the airport. Left with no other options, you just try to calm yourself and follow his instructions. You would later arrive at the airport 15 minutes before boarding, grateful that you actually made it. What a crazy eight-hour layover. I would still choose to do it again, but next time, I would always allocate extra time for getting lost. Like maybe an hour.. or two.. Ah, but the Koln Cathedral was really all worth it. Perhaps one of the craziest things I did while traveling solo was using the public transportation in Italy without a ticket thrice (yeah not just once – two bus rides and one tram ride) and getting away with having to pay a fine of fifty euros or a total of a whopping one hundred fifty euros without even being aware of it. I remember somebody from Venice telling me that I had been so lucky that day. Would I do it again? Most probably not. What was one crazy thing you did while traveling? There are two train stations near the Eiffel Tower – the Champ de Mars-Tour Eiffel via the RER C and the Trocadero (from which this photo has been taken from) via Metro Line 9. The former is still a bit of walk to the Eiffel Tower. The Trocadero is actually nearer and I’d prefer it when going there in the evening. During daytime, I suggest taking the Champ de Mars route. If you follow this way, there’s a garden you’d easily spot near the tower which is usually not crowded with tourists. 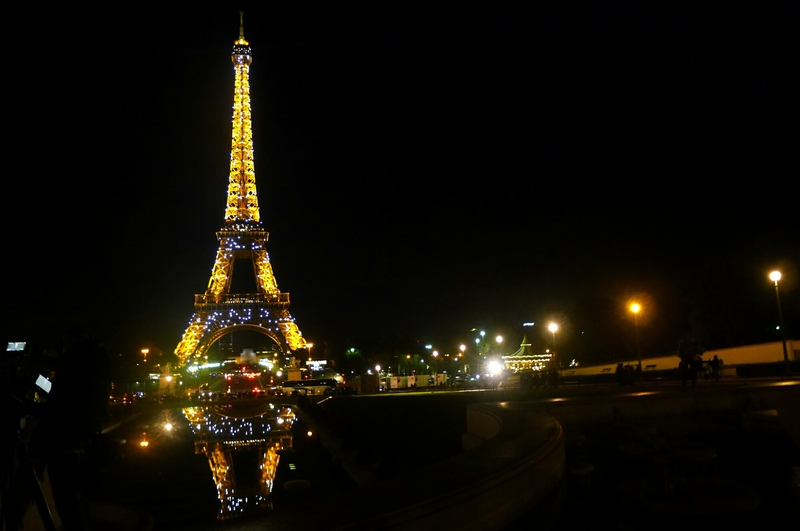 It’s one of the best spots for taking photos with the iconic tower. This garden by the Eiffel Tower is closed during the evening. It’s the perfect spot for taking photos during the day because it isn’t usually crowded. There are also benches where you can sit, read a book, daydream, or just stare at the tower while munching on some croissants or crepes. Beware though of people who would usually approach you, papers on hand, asking “Speak English?” Ignore them or just shake your head or say “no” in the best French accent you can muster. They’re scammers who’d force you into signing some petitions and eventually take money from you. Princess Diana could have looked like her hadn’t she died young. without any hint of sternness, her accent reminiscent of Harry Potter movies. “Yes. 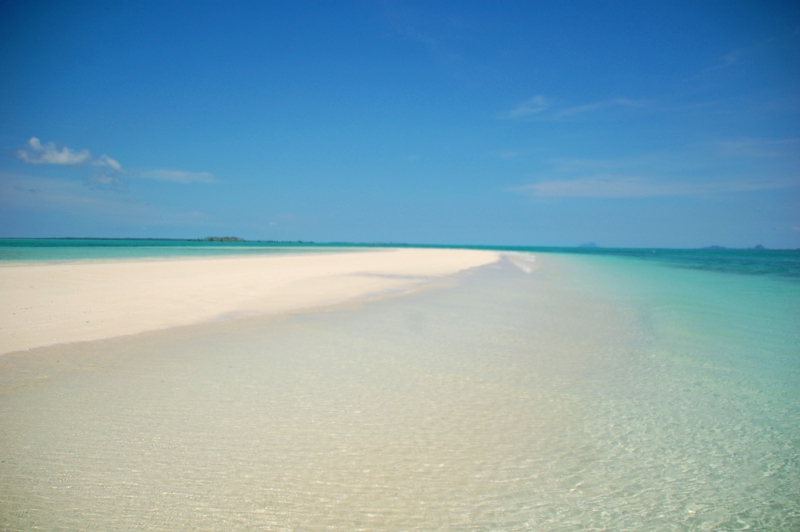 I’m actually going to New Caledonia.” I answered back with a smile. I’m attending a film festival.” I answered almost pensively, trying to contain my excitement. I could almost hear the faint sound of the Australian immigration stamp as it touched my passport. With barely two days to explore Sydney and with a connecting flight to New Caledonia after that, I’d have to make the most of my time in this vibrant cosmopolitan city. Right under my nose, a fellow passenger on a van from Catarman to Calbayog City had stolen my umbrella. He could give Lupin the third a run for his money- the umbrella was gone in a jiffy! But still, I wanna thank him for not including my backpack. 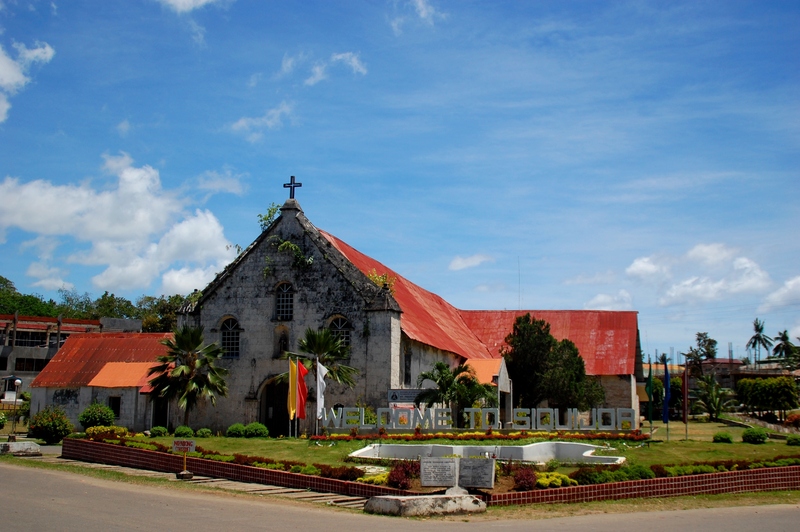 Which reminds me of the parishioners of St. Francis of Assisi Parish Church in the quaint town of Siquijor, Siquijor. With my ferry trip to Dumaguete delayed that morning, I meandered back into the town and stumbled into the olden church as a mass was about to begin. All of the churchgoers were in their best Sunday attires, I settled for the last part of the long rows of pews as I fidgeted in my capris and slippers. Communion rite later started and I was grateful for leaving my bulky backpack on my seat. Bags, purses, wallets were left on the pews as the mass attendees queued up to the altar. When I think of Siquijor, I’m reminded not only of witchcraft and beautiful beaches, but even more of its old churches and their admirably honest people. 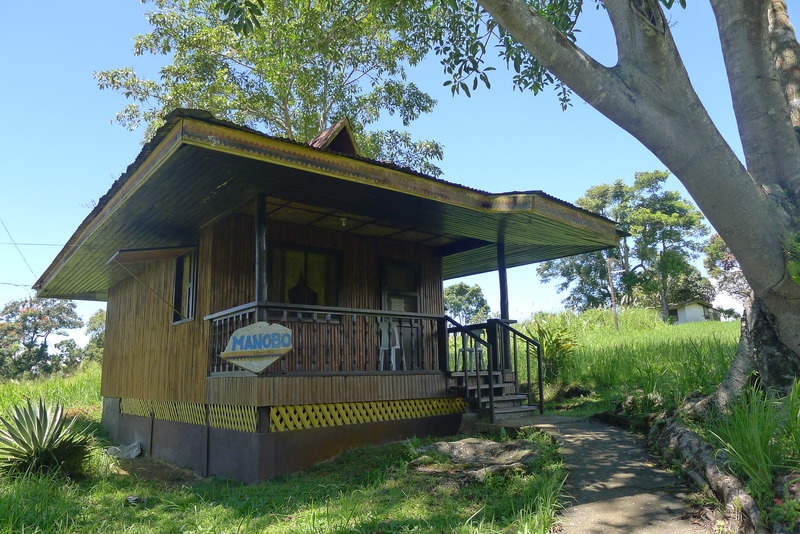 One dreadful thing about solo travel is the likelihood of sleeping in a musty-smelling hostel room alone much less a 16-bed cottage dormitory like this one in Misamis Occidental Aquamarine Park, Brgy. Libertad Bajo, Sinacaban, Misamis Occidental. One survival tip? Don’t watch scary movies at least a month before your solo trip else you’ll get crazy imagining the rest of the 15 white linen covered beds are occupied. Oh, and the view outside is surely a delight for nature-lovers. 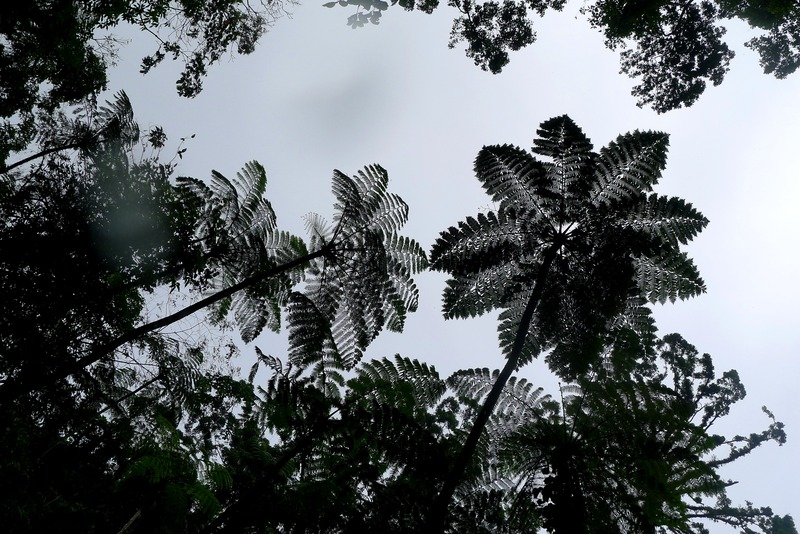 A sudden torrential rain, itchy plants, tiny blood-sucking leech-like creatures called limatok in the Waray dialect, supernatural tales, fordings on streams with slippery rocks, trail so steep we had to use vines for climbing, there were even times that there was not a trail at all. I knew the hike was going to be difficult. I just didn’t had an idea that it would be this treacherous. But perhaps that is the beauty of an adventure – there will always be uncertainties and possibilities. 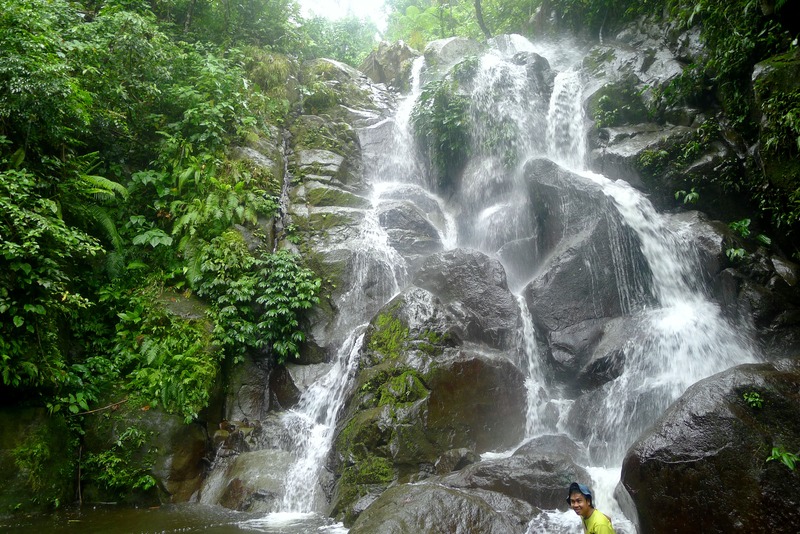 What awaited us in this risky trek was an overwhelming series of waterfalls. This had also been a surprise for me. I counted perhaps three mini-waterfalls and two big waterfalls when I was only expecting to see one. 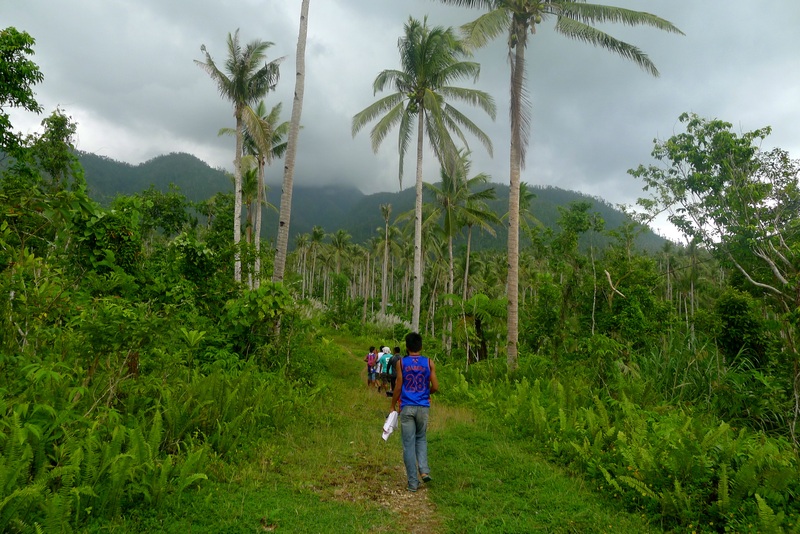 There were at least two more, our two local guides told us, if only Supertyphoon Yolanda/Haiyan hadn’t destroyed them. 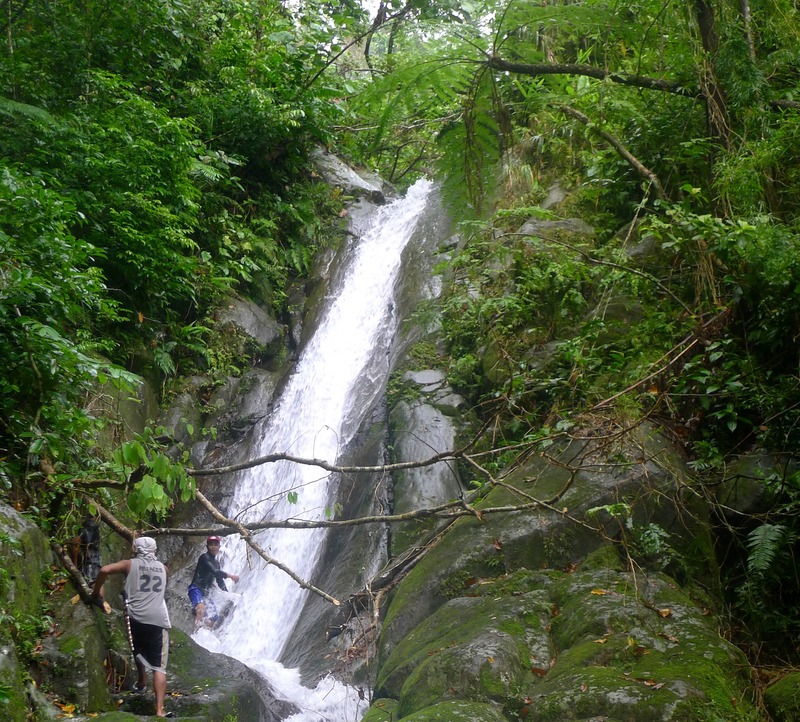 Our ultimate destination was something like a 65-70 ft high waterfall. The sight of it makes you forget the ordeal you had just gone through. 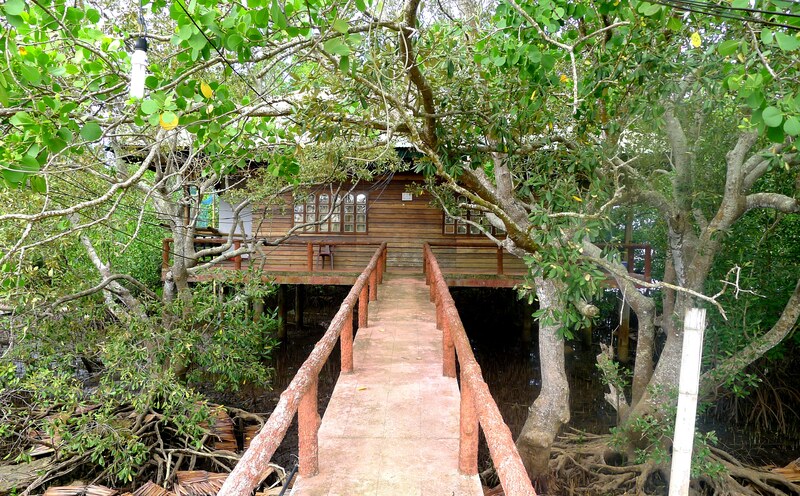 The feel of its surging waters massaging your body is of relaxation – a perfect communion with nature. 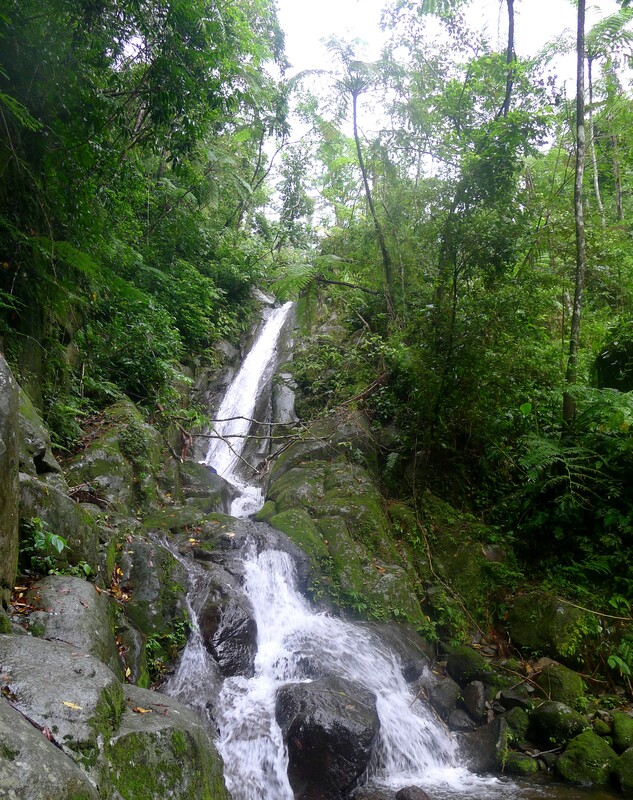 Some say that the Busay Falls experience would be incomplete without taking a slide on the upper middle part of this waterfall. It was risky but at the same time too tempting not to take the slide challenge. We each took turns. I happily did it thrice. 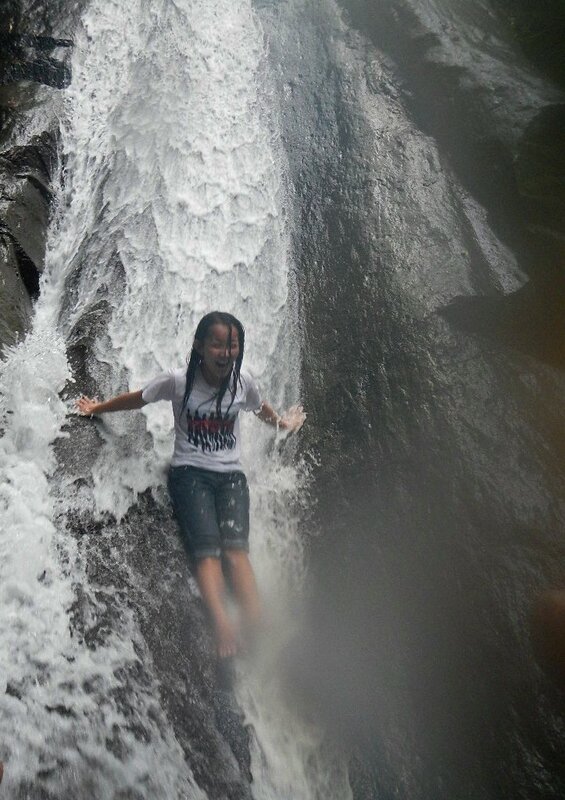 I knew right then and there that the many waterfalls of Tambis are worth chasing and worth risking for. 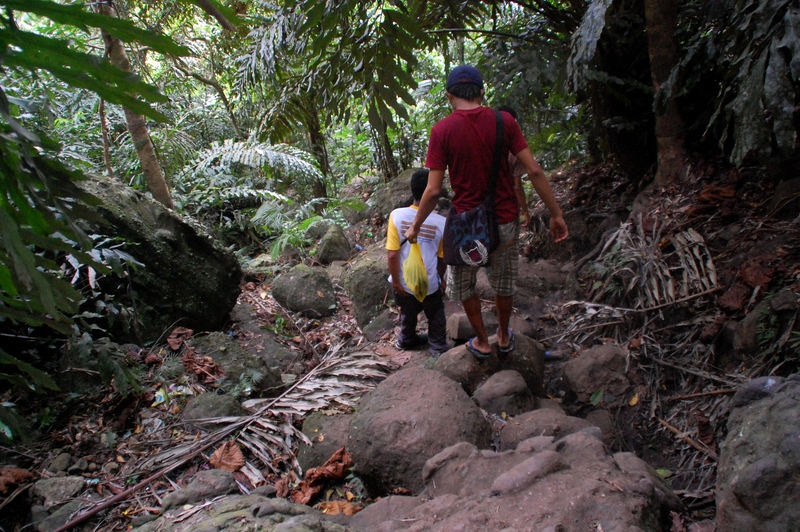 30-minute habal-habal ride on a rough terrain for a fare of 25 pesos. There are no fees to be paid but you have to ask permission from the barangay chairman who will then recommend you to at least two local guides. This is done as a safety precaution. 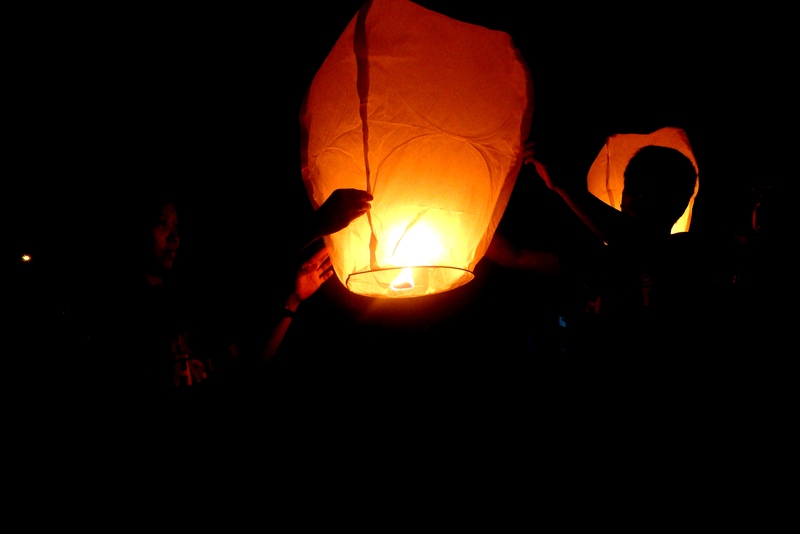 And as I felt the warmth of the lantern on my palms and released it to the skies, I whispered to the heavens a silent prayer of hope for us who survived, of justice for the oppressed and often neglected Yolanda victims, of compassion for those who have perished, and of thanksgiving for the outpouring of support when we needed them the most. 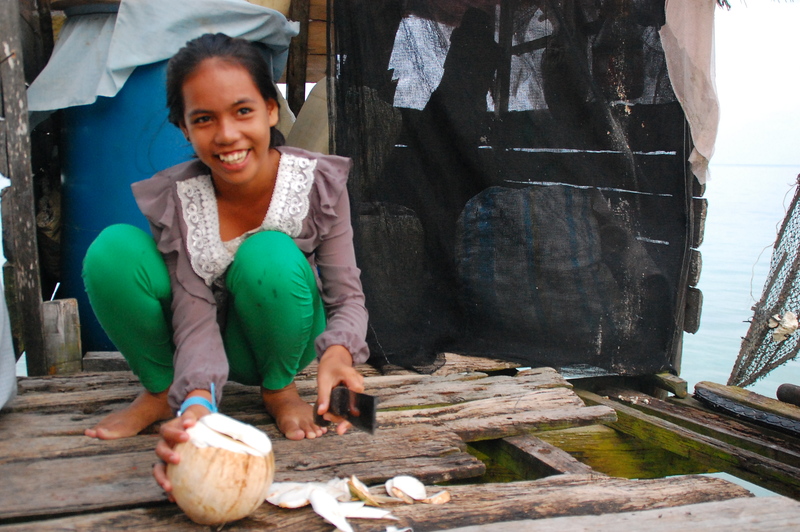 Meet Nur Shalyn, a sixteen year-old Tausug girl with a sunbaked skin and a warm smile. Stranded for four hours at the old bustling Chinese Pier of Bongao while on a boat bound for Simunul Island, I had a long conversation with this fellow passenger who was rather puzzled that I was alone on such a long journey. She slept soundly on the backpack on my lap for the entire duration of the trip while my stomach churned at the angry waves of the Sulu Sea and the uncertainty of my destination. I would later find myself in their stilt wooden house meeting her family and sipping my favorite buko drink which she herself prepared..
My dear beloved Leyte, it breaks my heart to see you so devastated this way. I thought that surviving supertyphoon Yolanda was enough, I should have known better, dealing with its aftermath is another story of survival. But still, I don’t want to leave you, my beloved home for more than twenty years. You have taught me to be strong, and optimistic somehow. Aren’t Warays known to be easygoing but tough people? It may be hard to fathom God’s reasons, but the trademark resilience of your people may probably have something to do in being chosen to be the bearer of the strongest cyclone to ever hit the world. We’ll get by, we’ll rise again, I know we can. We must, my dear beloved Leyte. 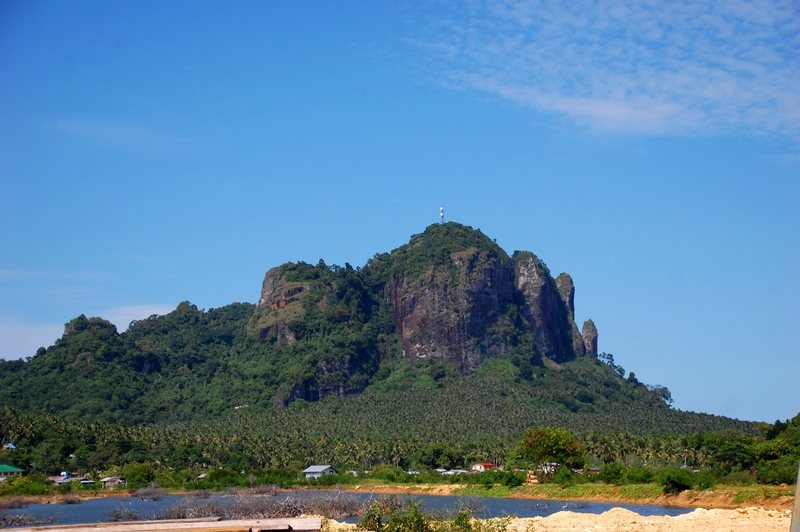 Bud Bongao with its altitude of 300 meters stands prominently in Bongao town like a stationary honor guard geared up to protect the whole Tawi-tawi territory. 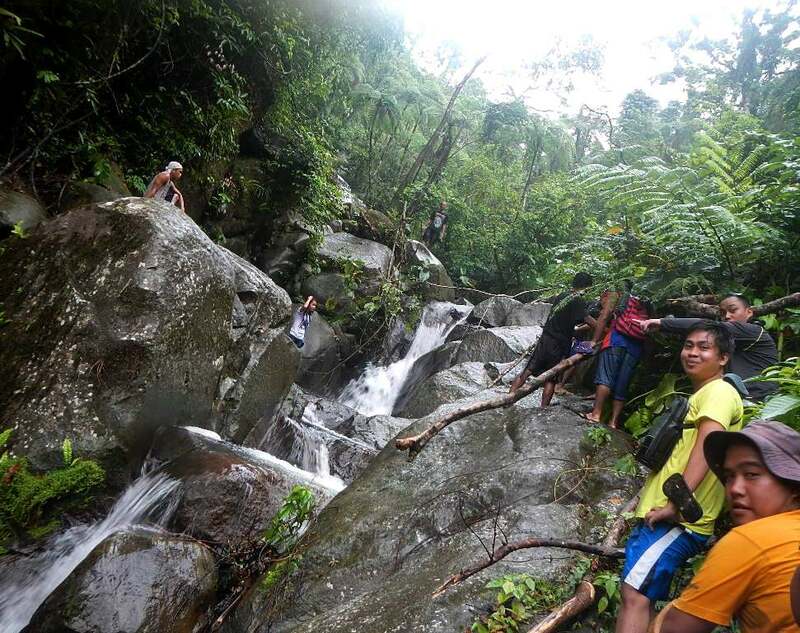 “If you are kind-hearted you won’t have trouble climbing,” Kuya Ladz of the tourism office told me – an indication that what we’re about to climb is not just an ordinary mountain. It is actually regarded to be sacred and revered by many Muslims. The mountain has often been enfolded with tales of mysticism. 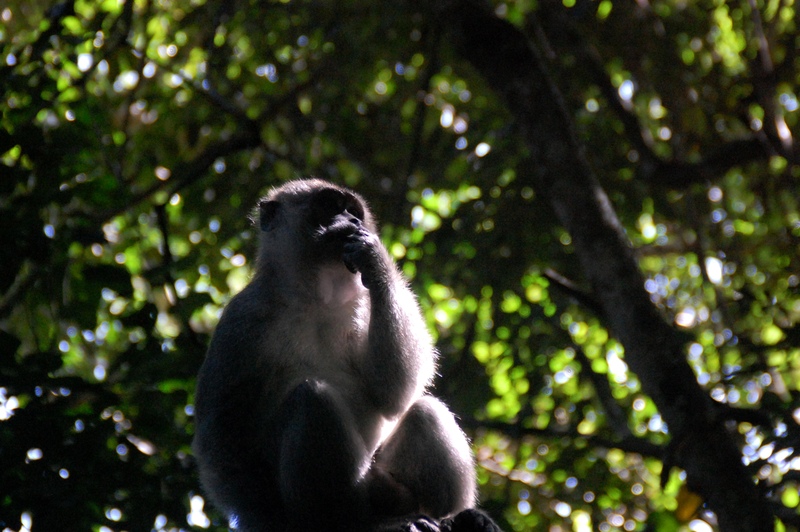 One of the legends is that of white monkeys who were believed to be its guardians in the olden times. Now, instead of them, grey-colored macaque monkeys which they consider sacred inhabit the place. Amidst the scorching heat of the afternoon sun, the climb proved to be tiring but I soon forgot all about it. After all I was with a fun bunch of hiking buddies – Kuya Ladz and his three nephews who are students from Mindanao State University. It was perhaps almost halfway through the climb when the friendly macaque monkeys started appearing and swaying through the trees. They seemed to be following us all the way and I was so amused while we fed them with bananas. Near the summit, we arrived at a holy shrine. 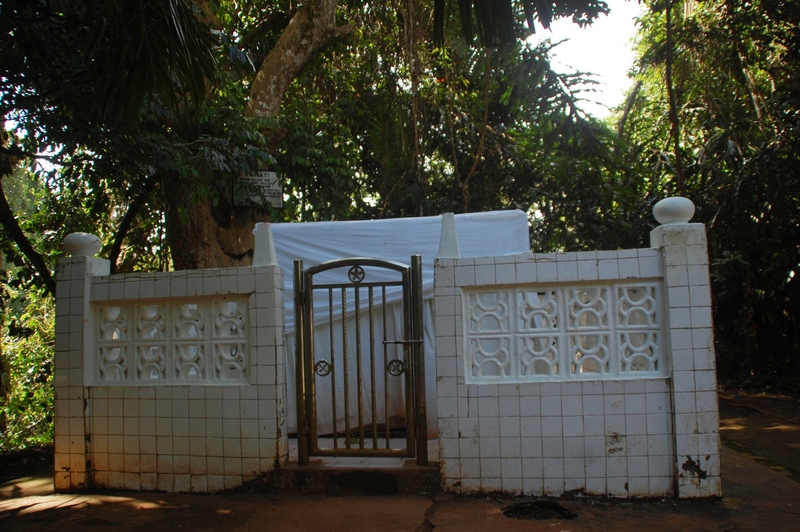 There were three tampats or holy graves where the Muslims would usually say their prayers. A few moments later, we finally reached the peak. 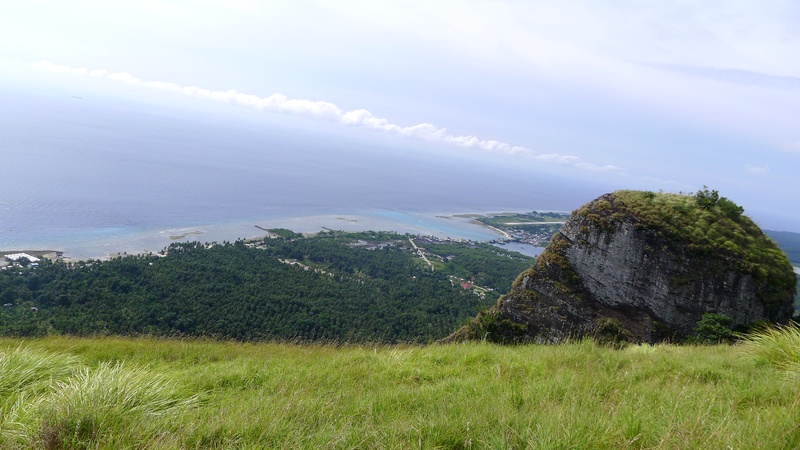 Now I probably know why they say that you really haven’t been to Tawi-tawi if you haven’t climbed Bud Bongao. 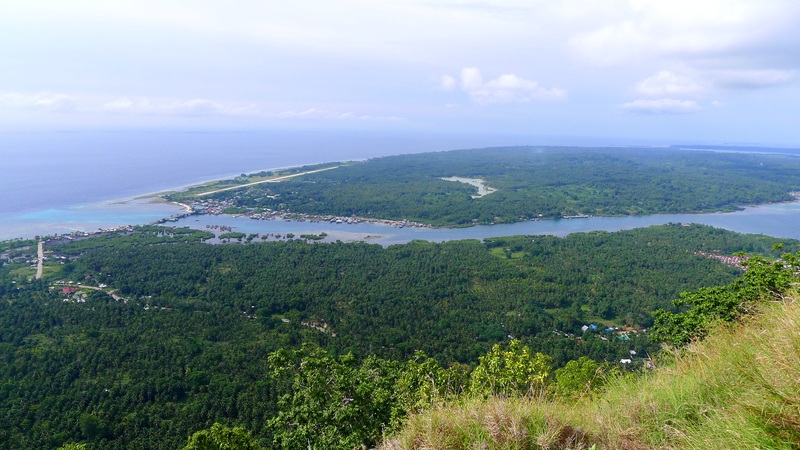 Its summit will give you a commanding view of the vast Sulu Sea and the Tawi-tawi landscape. Kuya Ladz pointed to me the islands of Sibutu, Simunul and Sangay-Siapo. 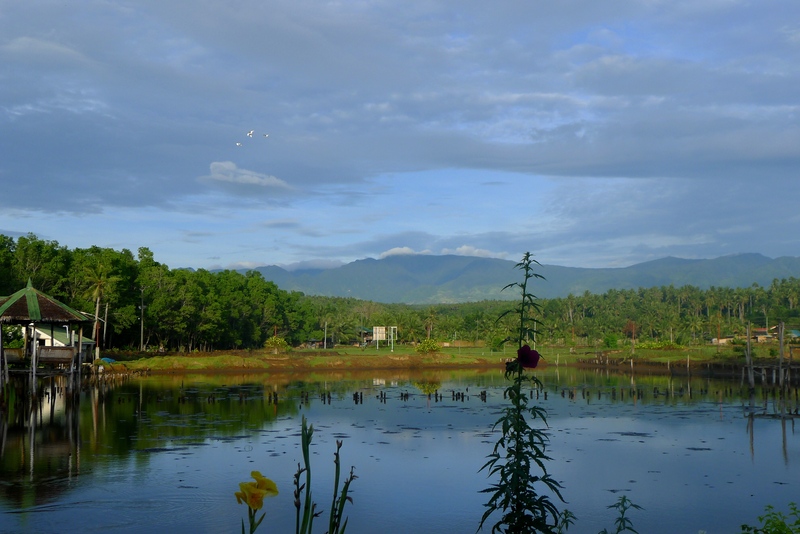 On a clear day, one can even see the outline of Borneo atop this mountain. It was kind of a bizarre feeling, I was at the southernmost tip of the Philippines and what I behold before me was already an international border. 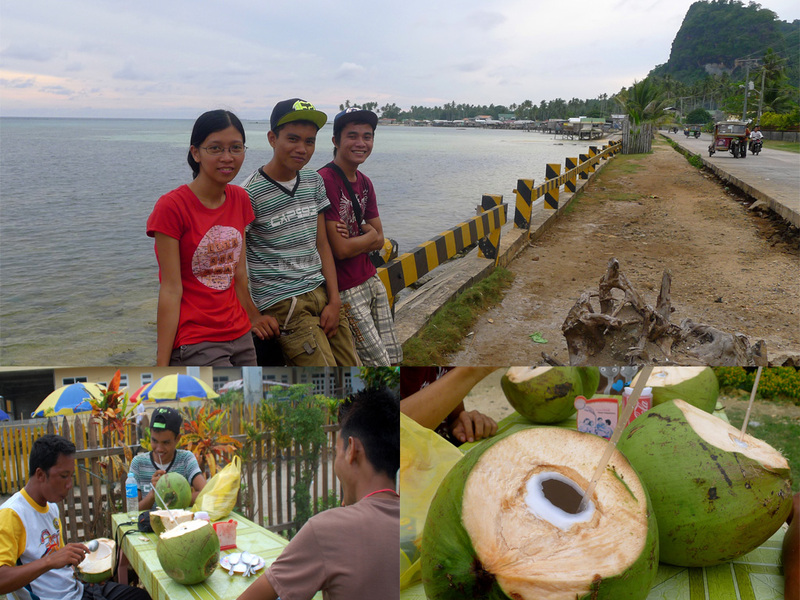 What better way to chill out after a hike than with barbecue and fresh buko by the beach? The al fresco setting of the barbecue place beside the Beach Side Inn where most locals flock to for beer, barbecue, and videoke is certainly a perfect spot to mingle with the locals, wonder at the vastness of the Sulu Sea and view the mystical Bud Bongao from a distance. 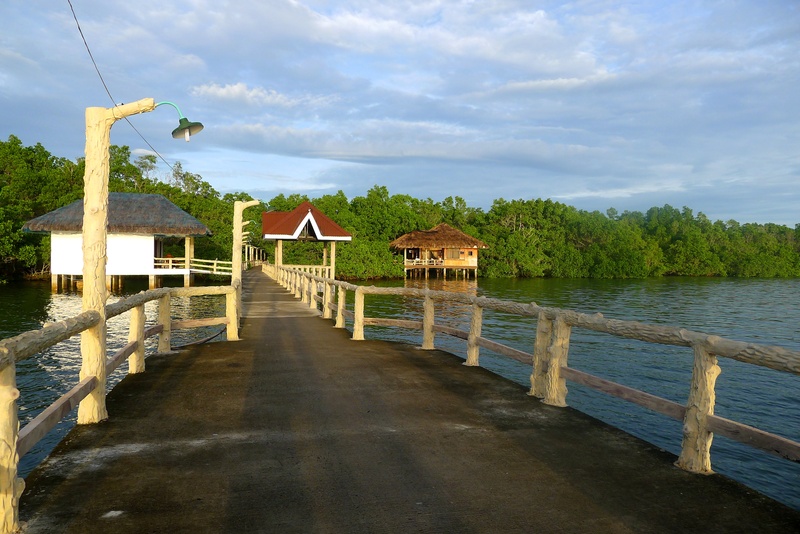 Of the 7,107 isles and islets that comprise the Philippine archipelago, 307 belong to its last frontier – the province of Tawi-tawi. I consider myself lucky for being able to set foot on at least four of them. 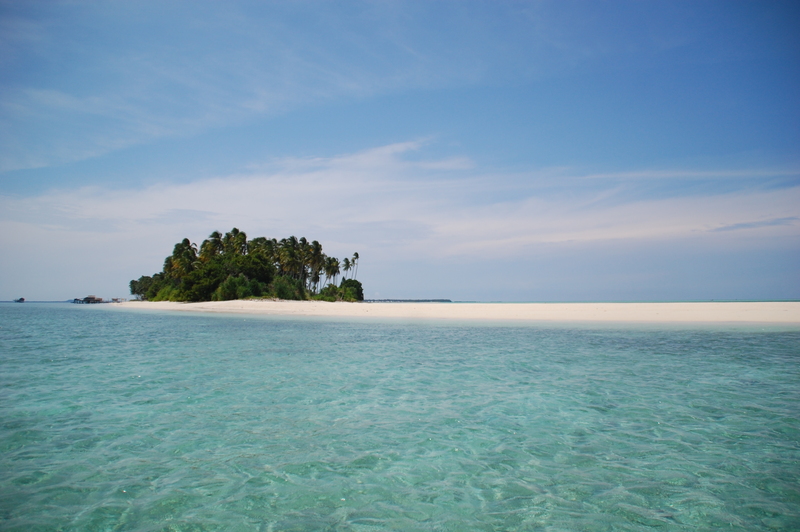 One of them truly a paradise on earth – the virgin island of Panampangan. For somebody who had always fantasized of the white shores of Maldives, reading it made me long to see Panampangan for myself. 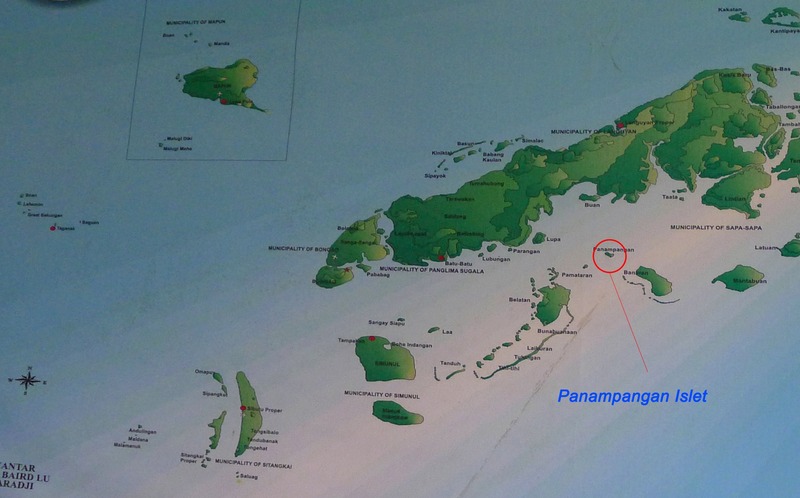 So I booked a flight for Tawi-tawi, with four things in mind – the local breakfast in kahawans, Bud Bongao, Simunul Island, and Panampangan Island. On my third day in the province, after an overnight stay with a hospitable Sa’ma family in Simunul Island and a tour around the capital town of Bongao the following day, I was about to give up my hopes of seeing Panampangan. 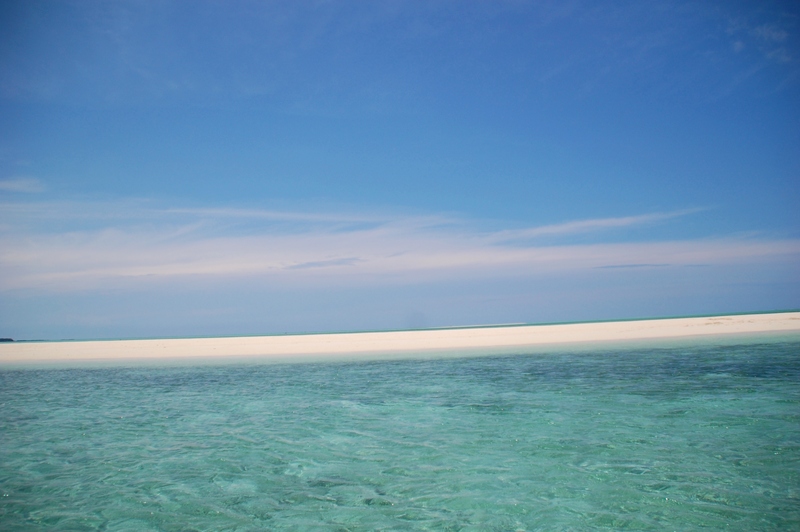 From Bongao, one has to charter a speed boat for P6,000 to reach the uninhabited islet. My three round trip plane fares from Tacloban-Cebu, Cebu-Zamboanga, and Zamboanga-Tawi-tawi when summed up would not even amount to such a hefty price for my poor pocket. But fate favored with me. Mindanao State University just concluded the Tawi-tawi Jobs Fair the day before. 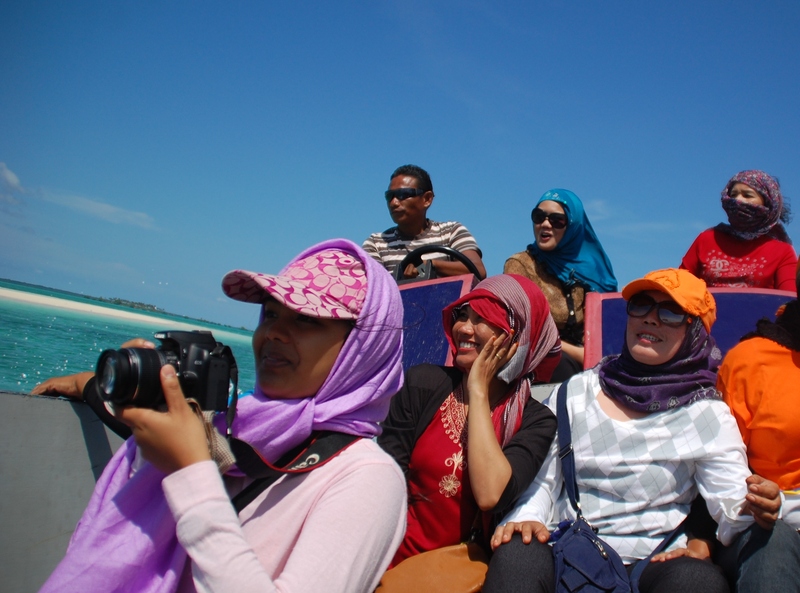 ARMM Assemblywoman Ma’am Samira Gutoc who initiated the event would be visiting the island for the first time. I rejoiced upon hearing the good news from two tourism staff, Kuya Ladz and Ate Cdang that Ma’am Salve Pescadera, the Tawi-tawi Provincial Tourism Officer invited me to come along. 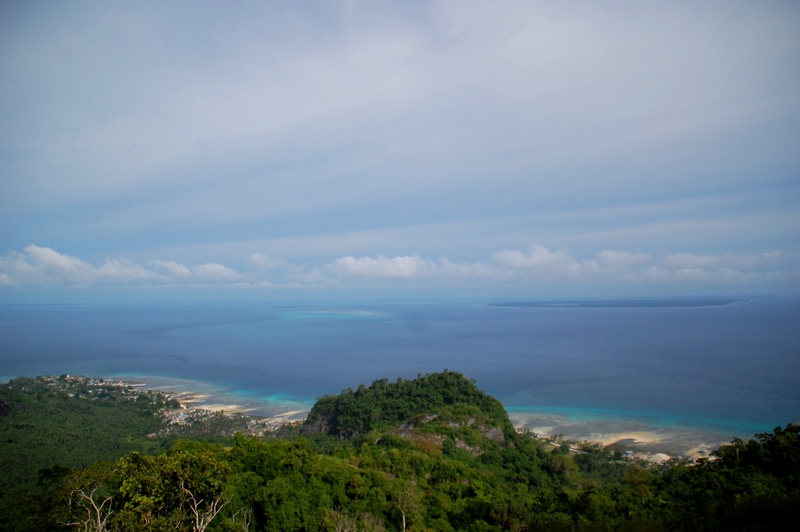 The planned hike to Bongao Peak could wait until the afternoon. The boat moved at a speed that took our breaths away. But it was even more breathtaking when we finally arrived. The long stretch of immaculate white sand lay impressively on turquoise waters so pristine I could clearly see the creatures beneath. Dappled with coconut trees, and the picture of a tropical paradise was perfectly complete. I’m afraid that my photographs, let alone my bad writing, can’t give enough justice to the splendor of this place. It’s as if the Creator had fashioned something out of some precious white crystals and threw it somewhere between the Sulu and Celebes seas. I was instantly charmed. 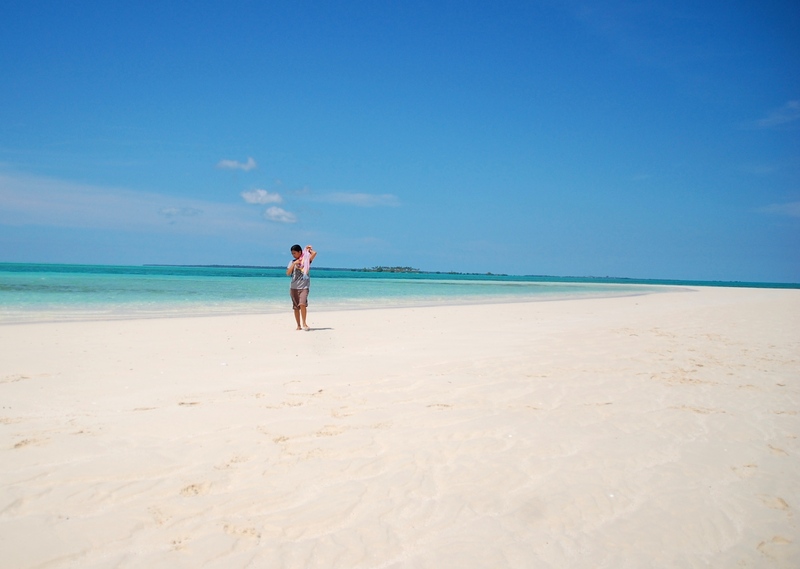 It was idyllic as I took off my flip-flops and sauntered on its fine powdery white sand. They were so soft and white they reminded me of something. Goldilocks milk polvoron. Yes, that’s it! And who would not be tempted to take a plunge into its inviting waters? 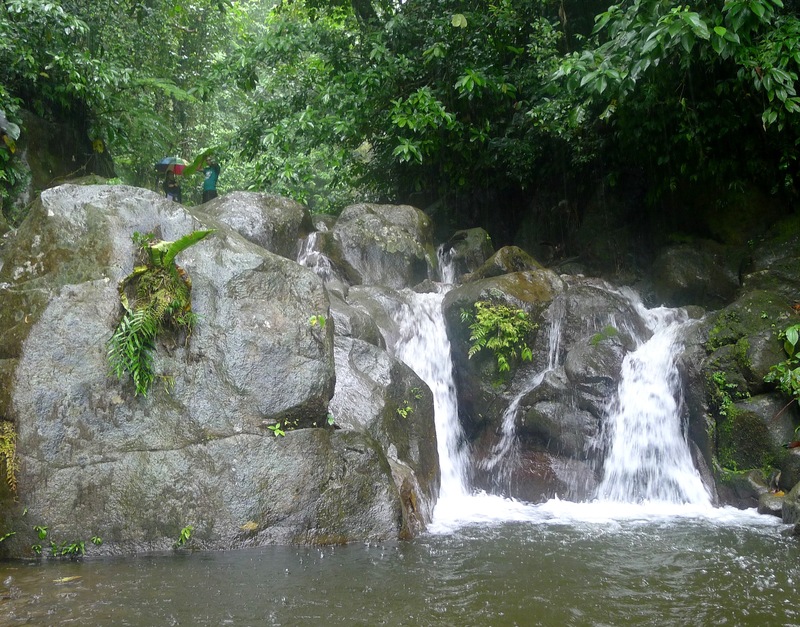 As the sacred mountain of Bongao awaited for my ascent, I was frolicking in the resfreshing waters of Panampangan. “Lalong sumasarap ang sardinas kapag sa ganitong napakagandang lugar ka kumakain.” I must have heard some of them say. 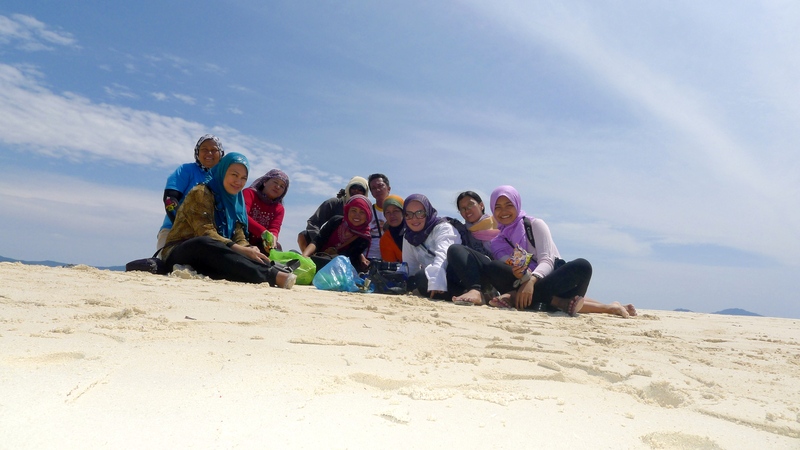 A picnic of sardines, biscuits, chips, and Tawi-tawi native delicacies by the beach with Ma’am Samira Gutoc (in blue hijab) and Ma’am Salve Pescadera (in red blouse) together with the Tawi-Tawi Provincial Tourism Office Staff. 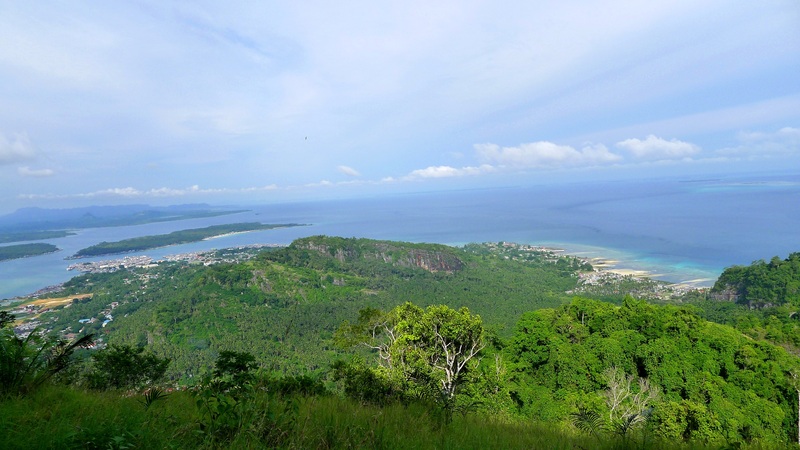 Blessed with unspoiled beauty yet its image marred by the conflicts of its neighboring places and the sensationalized media coverage, the province of Tawi-tawi is like an exotic food. If you don’t have the guts to try one, you wouldn’t know that you missed one of the greatest wonders nature has to offer. Dare, give it a shot and you’ll soon discover its flavors bursting throughout your tastebuds, surprising you even more, making you crave for more, and you’ll ask yourself, why haven’t I tried this before?